Blogging brides. Clean eating. Dirty tricks. The bestselling author of The Mummy Bloggers is back with another page-turning, rip-roaring story about mums, phones and the cult of self-improvement. In the rolling green hills of Australia's hippest hinterland, a new guru is blogging about her breakfast. ELLE CAMPBELL is back, holed up in an exclusive retreat where women pay thousands to mimic her extreme lifestyle, or die trying. But who's bankrolling Elle's new empire? And why are her two tiny sons suddenly absent from her glossy public image? ABI BLACK just wants to marry her true love under a tree in the garden on New Year's Eve. But her ex-husband is building a financial cult in the shed, Elle is looming and her teenage daughter's YouTube channel is gaining followers for all the wrong reasons. The wedding might have to wait. FRANCES GRAHAM has a colicky newborn, an absent husband and a WhatsApp mothers' group that's giving her anxiety. But she's certain that if she can just be more like those fitmums on Instagram, things can only get better. And surely, if she can scrape enough money together to make it to Elle's retreat, everything in her life will be just . . . perfect. 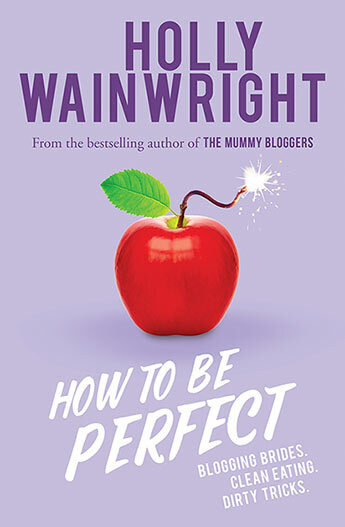 Through a world of fake gurus, green smoothies and bad influencers, How to Be Perfect follows Elle, Abi and Frankie into the cult of self-improvement that's taking over your phone . . . and your breakfast. Holly Wainwright is a former-Mancunian Sydneysider who came to Australia as a footloose traveller more than 20 years ago. Since then, Holly has had a long career as a journalist and editor, originally in travel and celebrity magazines and now online. She's been working in digital media for three years, most recently as Head of Content at Mamamia. She hosts two podcasts: This Glorious Mess and Mamamia Out Loud, has two small children, lives by the ocean and wishes there were four more hours in every day.